Starting from Santorini's Port(Fira town) or from your Hotel travel to the island's caldera for your first stop of the day to pose for pictures against the backdrop of the Aegean Sea. Then continue to check out the dramatic-looking black-sand beach of Perissa - the longest black beach on the island. Travel to the peak of Prophet Elias mountain, listen to the monks chanting, and savor samples of the dessert wine, honey and extra virgin olive oil that's made on-site. Continue with an optional visit to a traditional Santorini winery where the local "Assyrtiko" wine is produced or visit a local family farm to sample the homemade volcanic treats. From the countryside, continue to Oia -Santorini's iconic whitewashed village that's graced many a postcard. Take a stroll around the streets and enjoy some free time to sightsee and shop/dine at leisure. 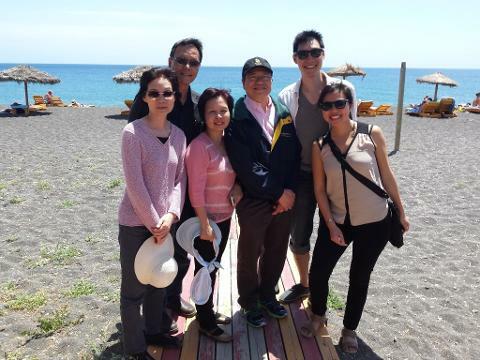 • Private half-day tour of Santorini with English speaking expert local guide. 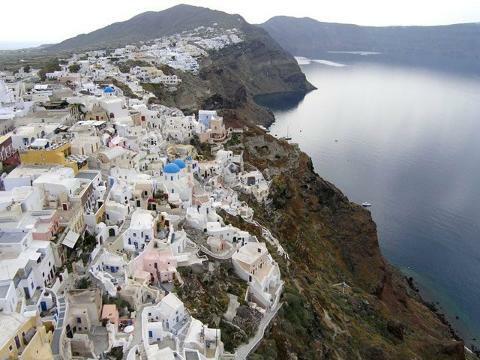 • Visit the charming town of Oia, nestled in the hillsides. • Enjoy scenic views of Mt. Prophet Elias, the highest peak of the island, above Pyrgos village. 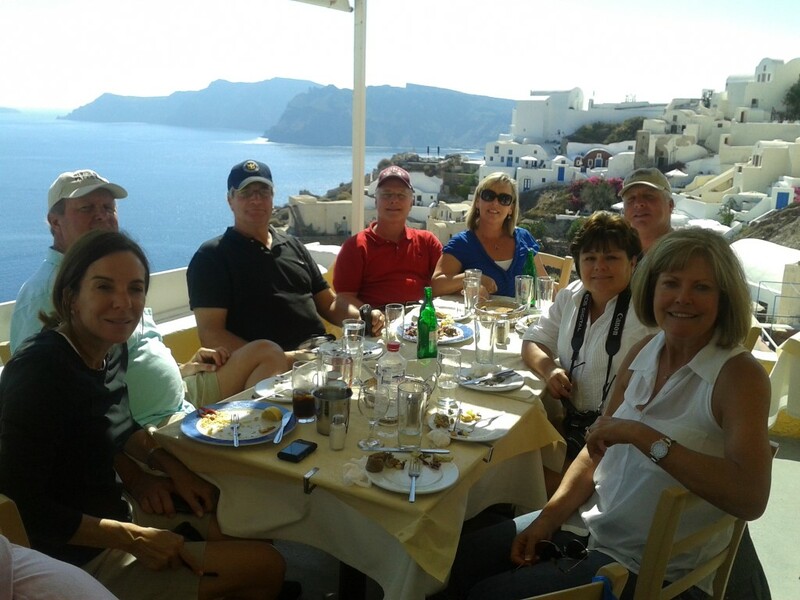 • Learn interesting facts about Santorini from your private guide. • Wine-tasting at a local vineyard (Optional, upon alcohol consumption). • Relax or sunbath at the black beach of Perissa, on the Aegean sea. • Comfort of touring in a private deluxe coach. • Pickup & return from your Hotel or Cruise ship Port (cable car terminal - Fira town). 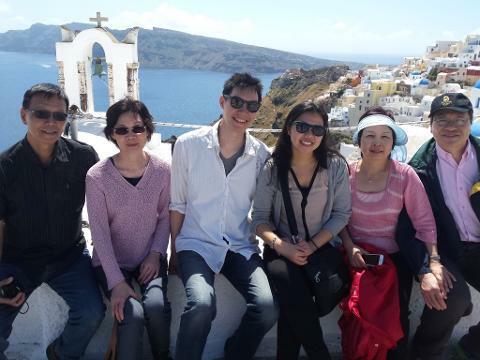 • 5-Hour Private tour of Santorini with English-speaking expert guide. 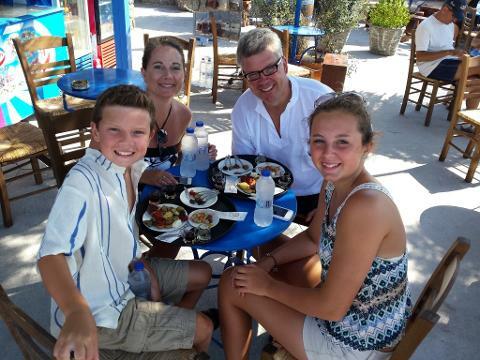 • Visit to a family farm to sample the traditional local tapas food and desserts from Santorini. • Wine-tasting of 3 different types of wine at a traditional winery (Optional visit, upon alcohol consumption). • All fees, admissions and taxes. •Cable car tickets for Cruise ship travelers (5 Euros per person, per ride). The price of this private tour is total - not per person, regardless the size of your group (up to 30 guests) and is ready to book. In case you will be more that 30 guests total, please contact us for a custom price.